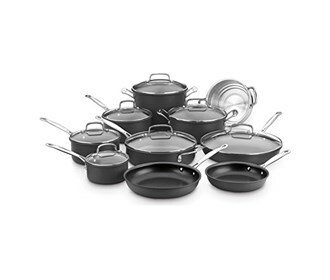 The Cuisinart Cookware Set offers customers an unbelievable value with new 17-piece cookware sets. Configurations include all essential pieces, plus extra items every consumer will appreciate. 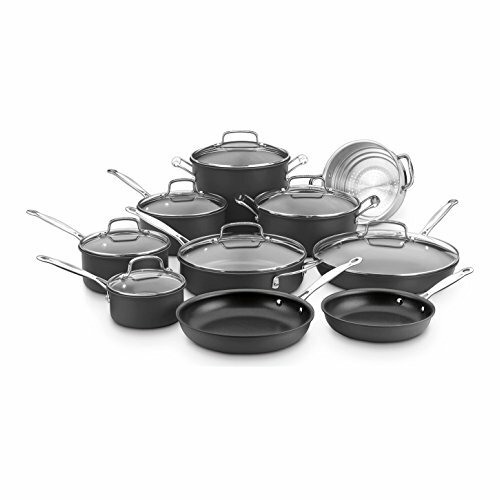 Cuisinart’s Hard Anodized construction provides quick and even heating to eliminate hot spots. The durable Quantanium nonstick cooking surface, reinforced with titanium for lasting food release, is perfect for low fat diets.